In the August 2011 edition of Country Walking magazine is my first published article. 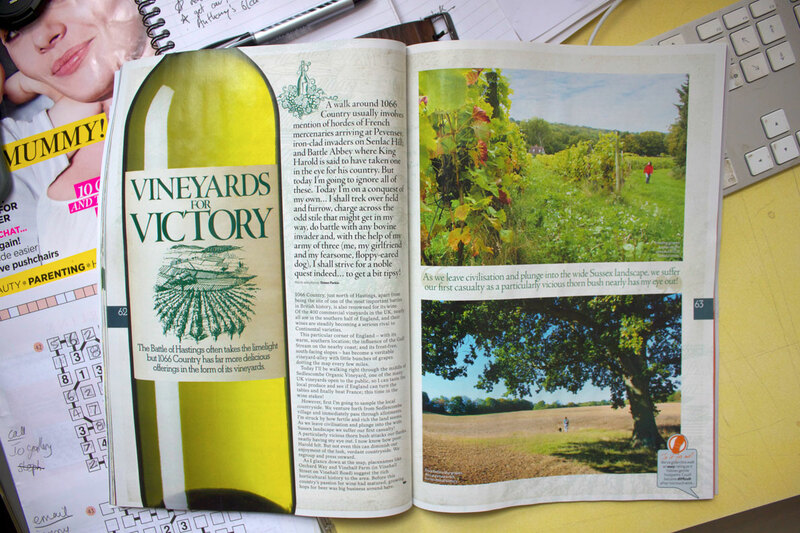 It’s about a walk through Sedlescombe Organic Vineyard and features my photographs too. I’m a big fan of Country Walking so it’s amazing to have written an article for it, let alone to have my photographs published in it. It all came from sending the editor a copy of The Wanderer.